Is Society failing to GIVE #PracticalSkills4Kids ? Are children who do not achieve academic success being ignored and left to flounder ? Is this why The Childrens' Society say we have a rising rate of youth suicide ? Is this why we have a skills shortage ? Well personally I think it is a big part of the problem. So I decided to try and tackle this with a Plan. My name is Brian Scott or Scotty as most people call me. 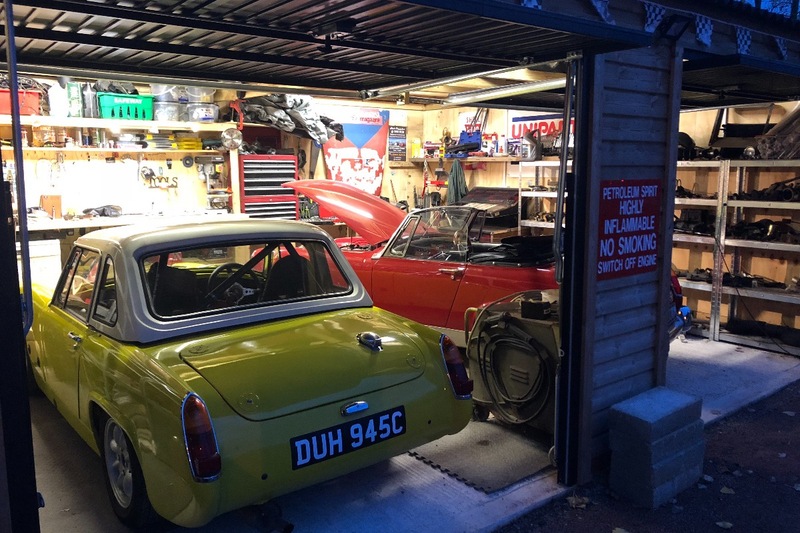 I decided to build a school where I could teach children Practical Skills for FREE and to engage The Classic Car World in support. My goal being to focus on Children who are not achieving academic success and who are perhaps gifted in other ways. Click HERE to read my full Objectives / Plan and The Central Government Objectives my enterprise hopes to achieve. 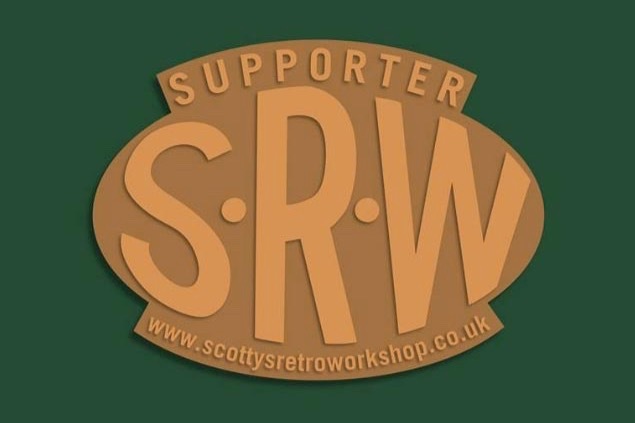 It is now known globally as Scottys Retro Workshop and is The Worlds 1st Certified Classic Car Industry Social Enterprise and soon to become a Community Interest Company. Survival of the FREE school depends on our ability to build an online shop. 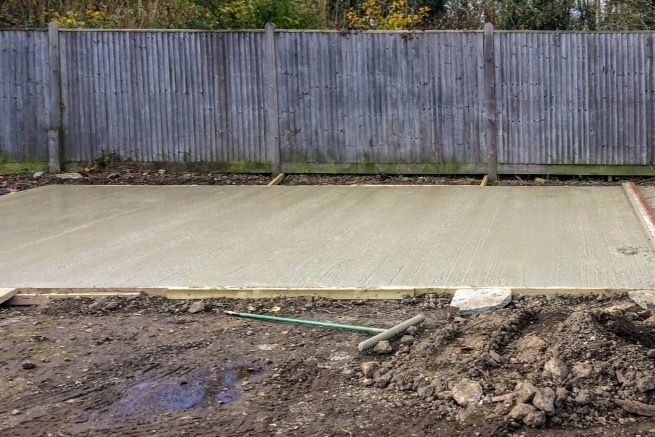 Our school is built , open and operational but getting this far has wiped out my personal finances. Completing the shop and building some WC Facilities must happen or this initiative will close. Please read on for the full amazing story. When I say I decided to 'build a school' I literally mean build it with my own hands and money. 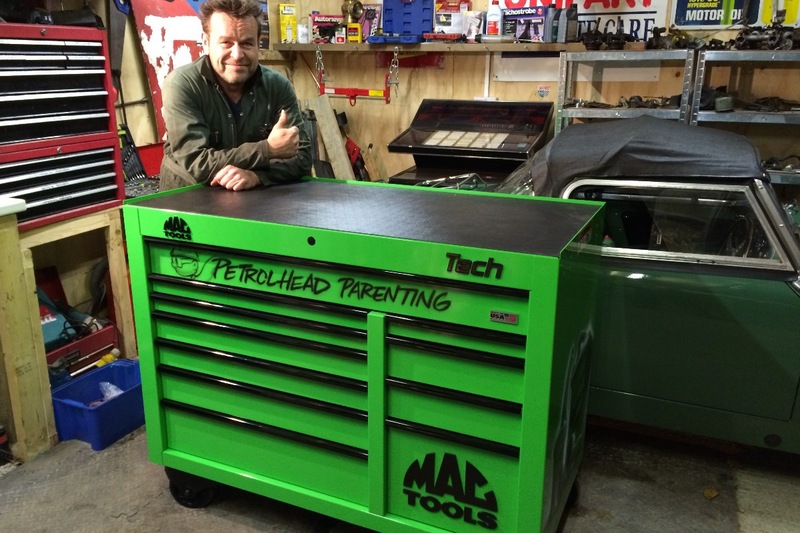 I then filled it with interesting cars and all the tools I needed to teach a variety of practical skills. 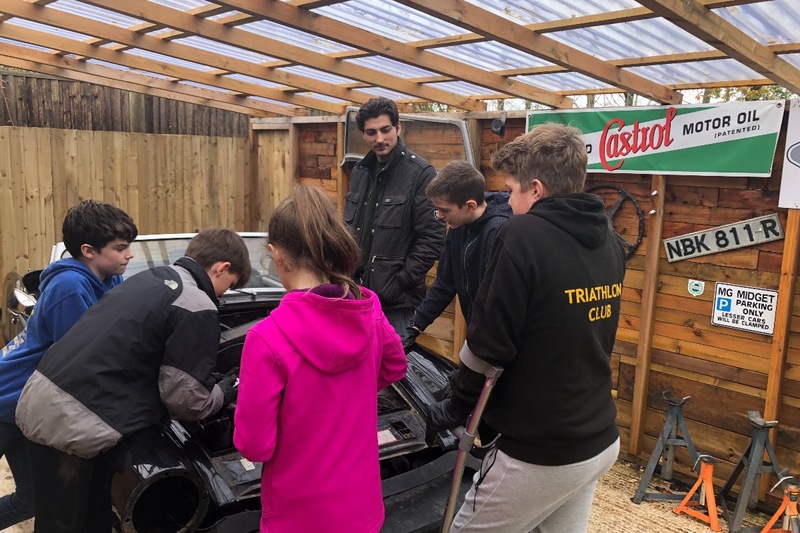 Basic Car Maintenance , Plumbing, Plastering etc. It is important to me that these opportunities remain FREE for Children to enjoy because how else can I be sure that those most in need get equal opportunity to attend ? 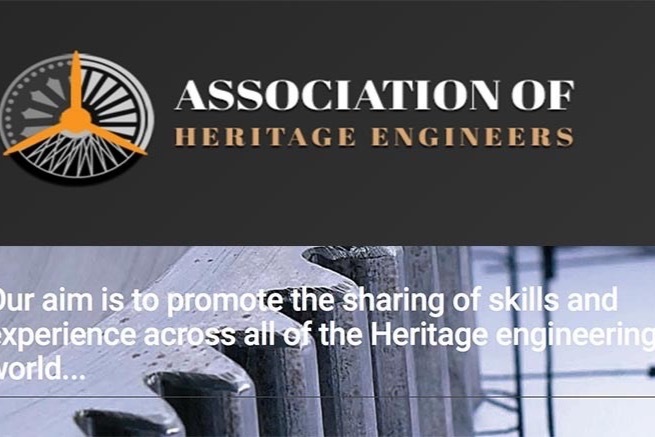 This GoFundMe is an opportunity for you to be involved as an enabler and (with your permission) to be forever formally recognised for helping on my website. With first Initial and Surname. A DONATION entitles you to the following gifts as a Thank You. Your 'Thank You Message' will explain how we can get these Gifts to you and will ask if you would like to be named on our site. £5 Gets you an emailed Supporter Certificate for your workshop / office. Another £10 gets you a sticker for your car as well. But any donation is appreciated. Now this is a fascinating story, which if you have the time you can read about below. However to cut to the chase.... so far it has cost me £75k, my school is open and we are helping children for FREE but we have a huge waiting list of children who are struggling academically at school and my pockets are getting near empty. But without building a webshop which will create a continous revenue stream then the school will close. With banks disinterested in such schemes and investors not interested in anything which is not going to produce oodles of profit inside 3 years.... GoFundMe appears to be my only hope of raising the money I need to progress to long term viability and help more children. So thats the short story. Here is the long story of how I have managed to come this far. 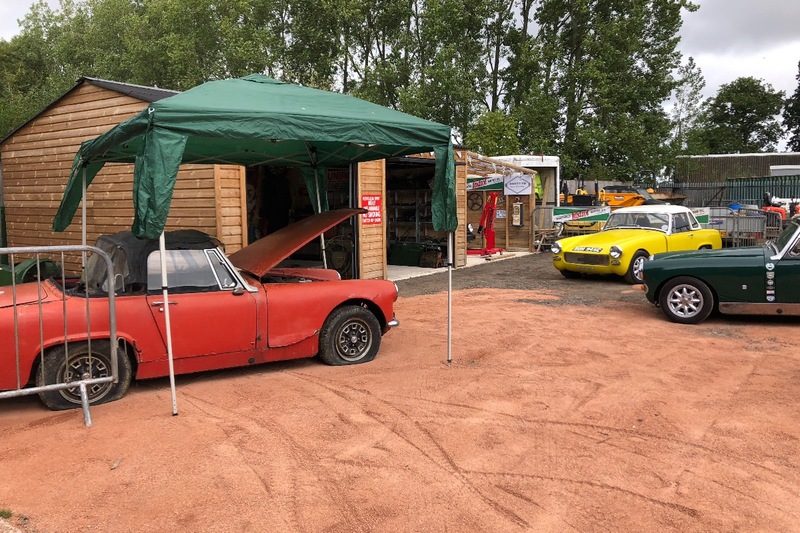 Then tools.... and had an open day. I obtained my Enhanced DBS and advertised locally to see if there where any children who would like to explore Practical Skills for FREE. Well....I was overwhelmed with requests from parents, many with children who where struggling at school and losing confidence. Here is a video of a very tired me at about this stage of the Project...be sure to listen to the end for the important bit ....How I want to REACH DEEP into Society not just give to a few kids who will probably be ok in life but help those with little means and little outlook or confidence. Today ...come rain or shine they come ... always memorised...always showing signs of disbelief that they are allowed to have such fun. 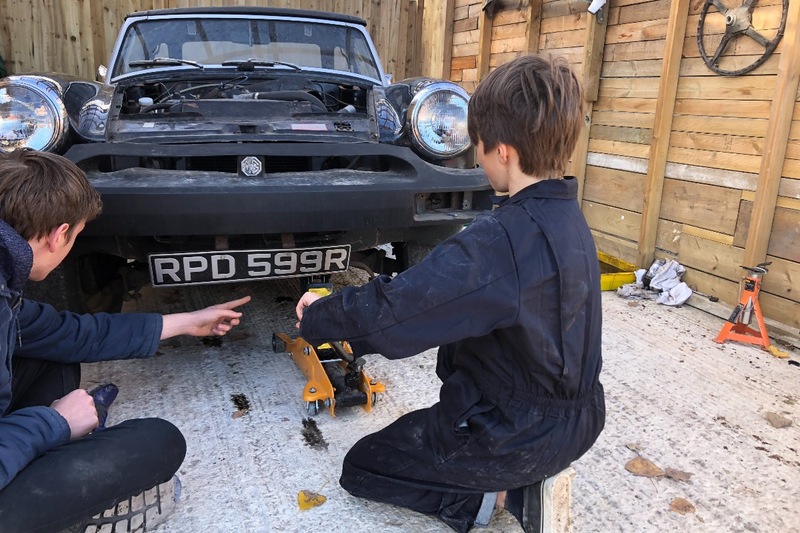 Young Sophie 11 can now jack a car up , support it on axle stands , change wheels , check tyre pressure and torque the wheels up !!! The lad to the left has had a really tough time trying to achieve success at school but here he is teaching ! Just ask his mum who is a Beaver Leader about how effective my school is .... Helping Children who are gifted in other ways. Now I am not a wealthy man , I do not even own my home but rent and this project has consumed my life savings however as many will tell you I am determined to continue. 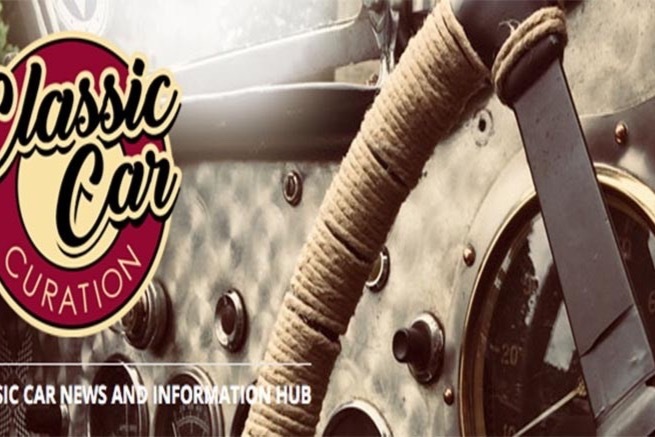 What if I could get Classic Car Part Manufacturers to give me the opportunity to sell NEW parts to my supporters, making a small profit would be a means of keeping my school going. Well the response has been fantastic and some of the biggest Brands have given me an opportunity to do so. 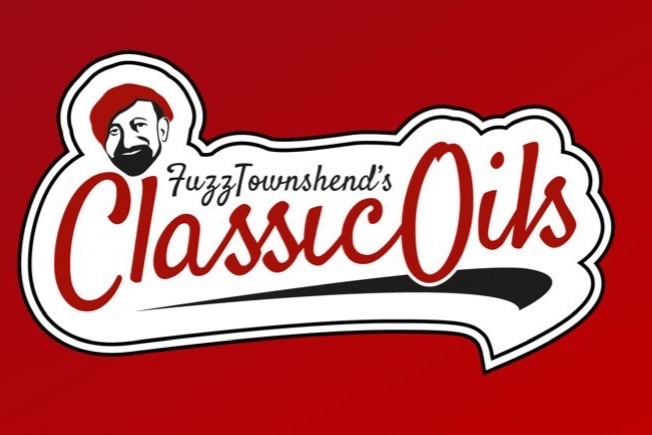 In fact so many are now supporting that we have 50,000 Products we could be selling online around the World to Enthusiasts who support this objective. Click HERE to see just some of the Companies who believe this is a great idea and want to help me in this way. 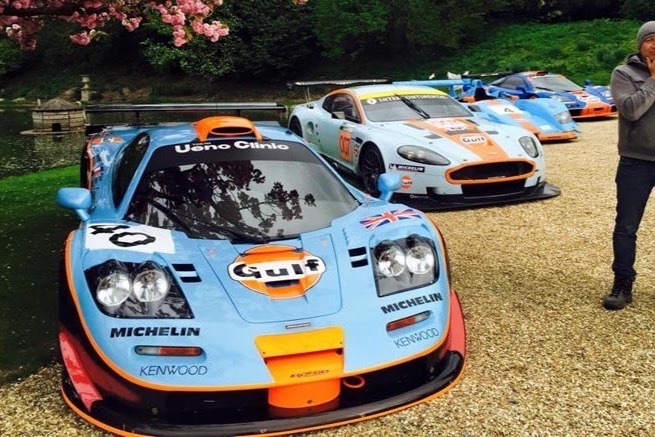 Basically car fans could be buying their products via our enterprise but helping a good cause at the same time . It is a WIN / WIN for everyone. So I set about building a website , no easy task for a 50 year old who had no such knowledge, very soon I learnt that building a shop with 50,000 products was a task that I was going to need professional help with and so this is what I am raising funds for and also to build ourselves some WC facilities !!!. 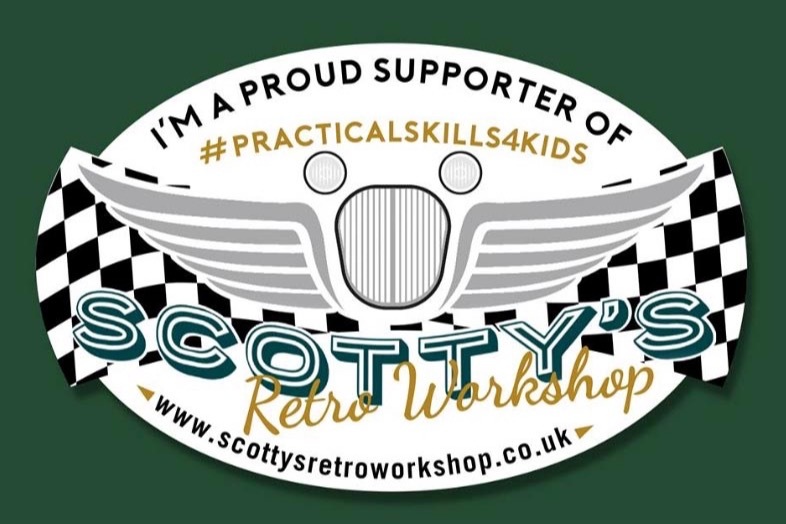 Scottys Retro Workshop is now The Worlds 1st Certified Classic Car Industry Social Enterprise !!! At the moment it is just Jamie and I working on this part of our Project, Jamie offered to help me with data crunching and he hopes that if this flies it will give him a job helping administrate on line orders, which I am certain it will. His first ever job . But we estimate that it will take us 3 years doing it manually with our limited knowledge. 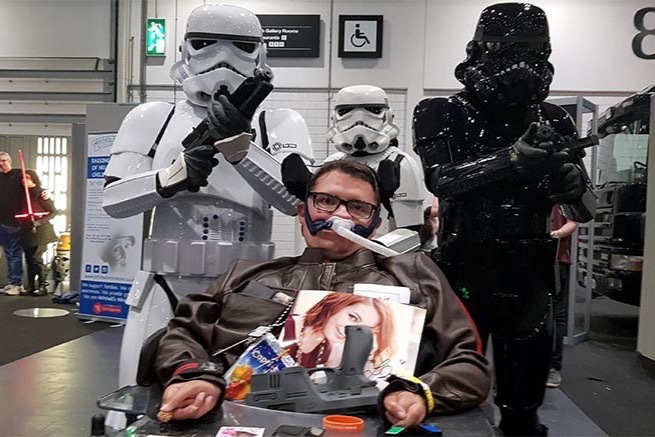 Well I could go on (and will for those enjoying this story ) but there is just one more amazing aspect I must tell you about ..... Several Racing Champions are now supporting me too and helping on the training days ... you can read about them HERE . 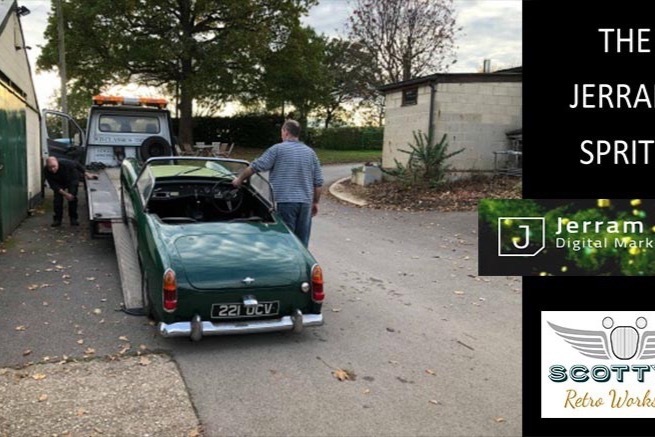 One day as we were teaching, the children starting asking "when can we build a racing car", ...well you couldn't make it up .....my phone rings and a gentlemen called David Jerram gifts us a rare Historic Car . You can read about it HERE . I hope that getting our online shop finished will give us viability to survive and grow, to expand into other locations or enable funds to give inner city children a break and a chance to come and enjoy. RAY DEHAN 007 Stunt Man supports our Cause. 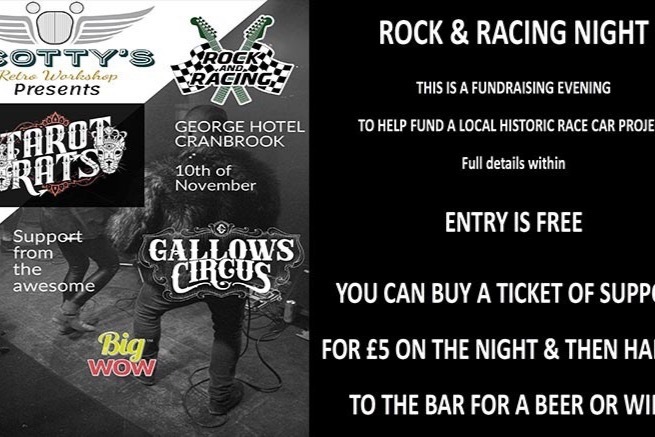 The AWESOME TARROT RATS & GALLOWS CIRCUS play for FREE and create Rock & Racing in Support. 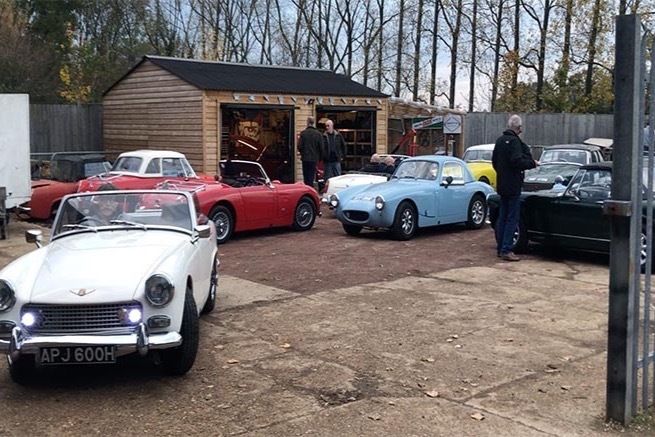 Maybe we can come to your event or pub ? The BIG WOW then jump in & Promote.